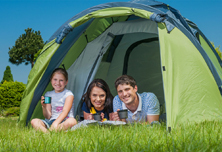 All our tent pitches are spacious and level, we have two areas for tents both with or without electric. Our touring caravan pitches are set around the park with an option of grass or gravel, all our touring pitches have electric supply, with water and central waste disposal. 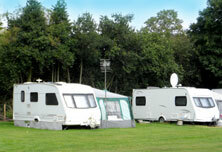 Motorhome pitches are hard standing bases with a gravel finish, all with electric and a very spacious pitch. 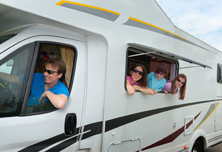 We can accommodate motorhomes up to 30 foot long. We have a motor home service point and refill station. If a seasonal pitch is not for you then why not store and stay. 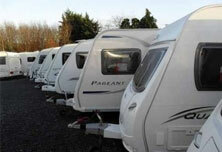 We will pull out your caravan and put it back in storage after your visit. 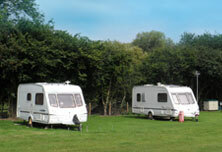 You have all the flexibility to store and stay or explore many other caravan sites. We have a secure storage compound. Our hassle free store and stay allows you to book your stay and have your caravan conveniently sited ready for your arrival. 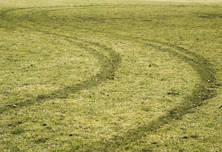 Burrows Park Seasonal Pitches available - please ring for information.